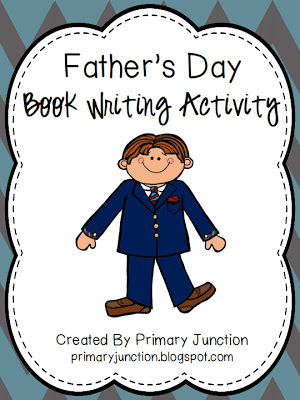 Teaching Blog Round Up: Summer Projects & A Father's Day Freebie! I apologize for being a little late with my post, but I'm happy to be back this month on Teaching Blog Roundup! I struggled a little to come up with a post this time. Here, school is out for the summer, and to be honest, school isn't really at the forefront of my thinking at the moment. Then, for those of you still in school, you're about finished. I just really wasn't sure of any topic that might be helpful at this time. After some thinking though, I thought I would share some projects I have previously worked on during the summer. Summer is my time to catch up on my classroom and try out all of those ideas I never had time for during the school year. I hope some of these ideas might be helpful to you! First up is computer folder organization! Once I caught onto the teacher blogging world and TpT, I had an insane amount of teacher files on my computer. And they were all in the SAME folder! YIKES! I knew I had to organize them before they quickly became impossible to find. To solve this, I simply made a "Teacher Resources" folder and divided it up into subjects such as math, reading, parent/teacher communication, holidays, science, etc. Then, each of those folders was divided up into objectives, topics, etc. Now, I can quickly find a file, and I also know what I have and don't have. This project is very time consuming but totally worth it. Instead of having all of my print outs in a filing cabinet or storage box, I created "Resource Binders". Each print out is in a plastic sheet (so I can quickly flip through them), and I organized them into subject binders. On the outside of each binder I labelled what is inside. I also organized the inside of each binder with divider tabs and labels. Read more here. 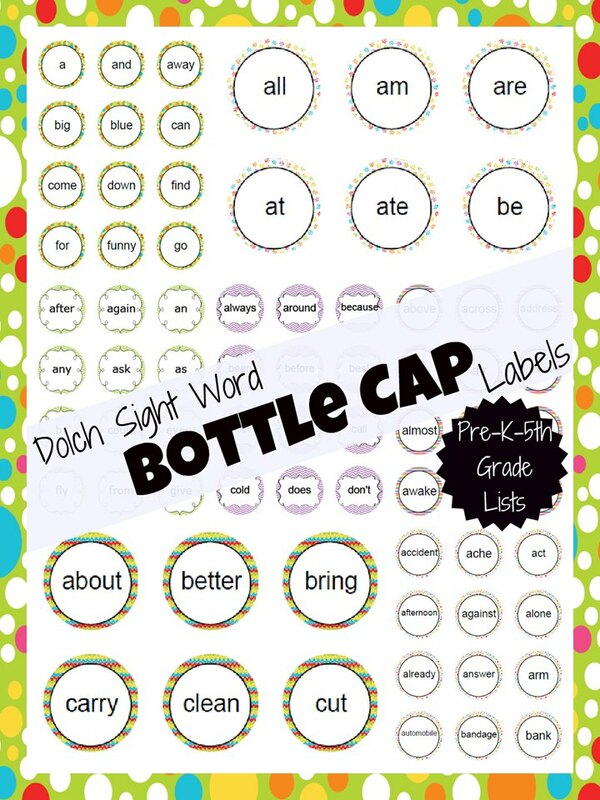 Finally, these Dolch Sight Word Bottle Caps are a blast to both make and use! Just save bottle caps, print out the labels, and attach with Mod Podge. Read more about them here and pick up some freebies while you're at it! Before I go, you might remember my Mother's Day Book Writing Activity packet from last month. Well, I had a request to make one for Father's Day. You can pick it up here! I cringe at the thought of everything in 'My Documents' as well. I'd never be able to find anything!